Now, let’s take a look at the Mountain West Conference’s Mountain Division preview. The first year for head coach Bryan Harsin was a major success for Boise State, as the Broncos went 12-2 and won the Mountain West’s inaugural Championship Game. Year 2 under Harsin will them poised to continue the success. The offense will have 9 starters back from last year’s unit that put 39.7 points and 494 yards per game. The losses are at key positions, however. Quarterback Grant Hedrick and running back Jay Ajayi are both gone. Ajayi’s departure is offset by the addition of Kelsey Young as a transfer from Stanford. Quarterback will likely be played by Ryan Finley who saw action in five games in 2014. He will have his entire offensive line returning and some top targets in Thomas Sperbeck (51 catches for 877 yards and 3 touchdowns), Shane Williams-Rhodes (68 catches for 585 yards and 7 touchdowns, and tight end Jake Roh (35 catches for 408 yards and 2 touchdowns). The offense may not put up as many points, but it will still put up more than enough to outscore most opponents. 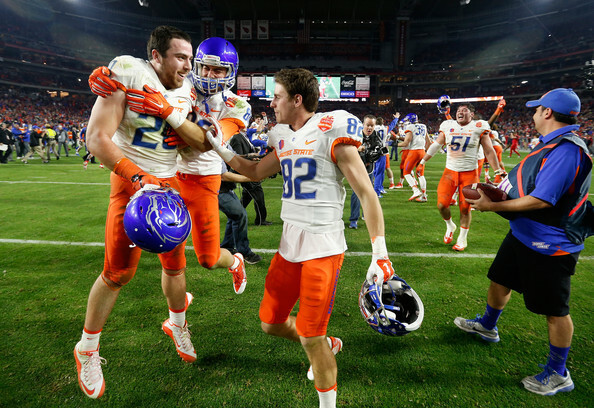 Boise State sees 8 starters return on defense including the top 5 tacklers from a season ago. The losses are spaced out evenly with one at each level. Middle linebacker Tanner Vallejo will be leading the defense again after recording 100 tackles, 3 sacks, and 13.5 tackles for loss. On the defensive line, Kamalei Correa looks to have another double digit sack season after recording 12 sacks in 2014. 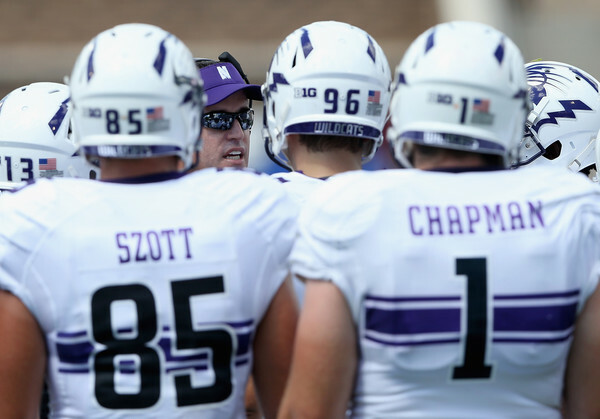 The defense gave up 26.8 points and 375 yards per game in 2014 and similar numbers, or better, can be expected. Boise State starts the season with a match up against former head coach Chris Petersen and the Washington Huskies at home. They then have a road trip to BYU, are home against Idaho State, and travel again to face Virginia. Their Mountain West schedule sets them up nicely for a shot at an undefeated conference season. Their toughest games will be at Utah State and home to Air Force, but they draw Hawaii, UNLV, and San José State from the West. Those are three teams the Broncos should crush. The Broncos should have a relatively easy time winning their division and reaching another MWC Title Game. 2014 was a major turnaround season for Air Force. In 2013, the Falcons went 2-10 with their only triumphs being against FCS Colgate and Army. In 2014, they went 10-3 with their three losses all coming in Mountain West play (Wyoming, Utah State, and San Diego State). In 2015, Air Force has 7 starters returning on offense led by running back Jacobi Owens and wide receiver Jalen Robinette. Owens led the Falcons with 1,054 yards and 5 touchdowns rushing while Robinette had 43 catches for 806 yards and 4 touchdowns. The offensive line has to replace three starters, but as usual, it will be upperclassmen filling the vacancies. At quarterback, Nate Romine is expected to return to start. He started 5 games in 2013 and one game in 2014. 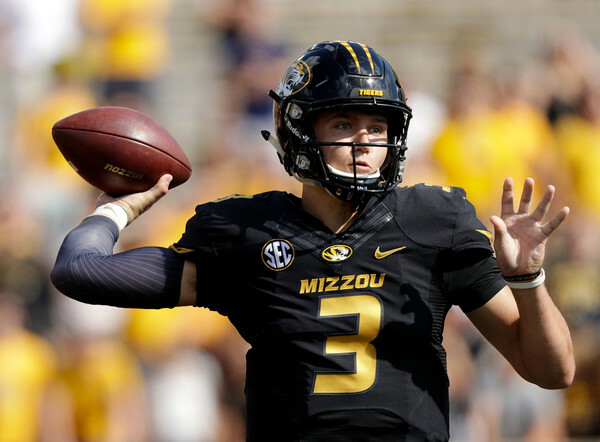 The offense averaged 31.5 points per game a year ago and could come close to that in 2015. The major area of concern for Air Force is on defense where only 4 starters return. The last time they had this few starters return was in 2012 with 2 and gave up an average of 29 points per game. Alex Hansen will anchor the defensive line after garnering 2nd Team All-Mountain West honors in 2014 with 56 tackles, 3.5 sacks, and 6.5 tackles for loss. Connor Healy will be the star linebacker after finishing second in tackles in 2014 with 90. Weston Steelhammer is back at strong safety after he made the 1st Team All-Mountain West in 2014. He had 51 tackles, 3 sacks, 3 tackles for loss, and 6 interceptions. This unit lost a lot in the way of experience and will probably suffer a bit. 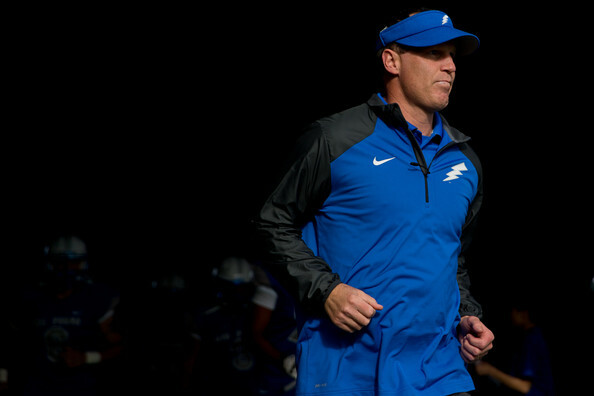 Air Force stars off with a game against FCS Morgan State before starting conference play at home against San José State. Next up is a road trip to Michigan State before a bye and another road trip to Navy. The reason they are put second on this list is due to the Mountain West schedule. They will have to face Fresno State at home, but get a road trip to Hawaii and have the aforementioned game against San José State. That is not the toughest West draw and with a win against Utah State on November 14 at home, the Falcons could be sitting behind Boise State when all is said and done. 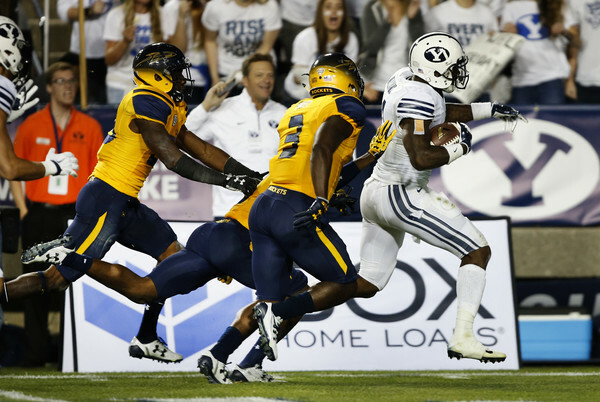 2014 produced a surprisingly good year for Utah State despite a few negatives. They entered 2014 with only 7 returning starters and lost star quarterback Chuckie Keeton after 3 starts, but were able to finish 10-4. 2015 looks even better for the Aggies. On offense, the Aggies return 9 starters including Chuckie Keeton. Keeton was given a 6th year of eligibility after being injured last season. He will have running back LaJuan Hunt back as well after he ran for 540 yards and a touchdown. Keeton will also have the top two receivers from last year (Hunter Sharp and JoJo Natson) as well as four starters back on the line. After averaging 26.9 points and 379 yards a game in 2014, the Aggies should have better output in 2015. As previously mentioned, 2014 was a big year for Utah State and the defense was a massive part of the reason. Despite only having 4 starters back, the unit gave up 19.7 points and 356 yards per game. In 2015, they will have 6 starters returning. The strength of the defense will be at linebacker with three of the four starters returning including Nick Vigil, who recorded 134 tackles, 7 sacks, 9.5 tackles for loss, and an interception a season ago. The defensive line has to replace two starters as does the secondary. The defensive line should do well while the pass defense may have some struggles this season. Utah State has a rough out of conference schedule after their opener against Southern Utah. They face back-to-back Pac-12 foes on the road in Utah and Washington. Their last non-conference game is against BYU at home in the regular season finale. During Mountain West play they will have a rough time as well. They get Boise State at home and travel to Air Force, but the teams from the West Division is what really hurts. They face three of the top teams in Fresno State (road), San Diego State (road), and Nevada (home). Utah State will make another bowl game in 2015 and they could surprise with a winning record against the 5 aforementioned Mountain West foes. 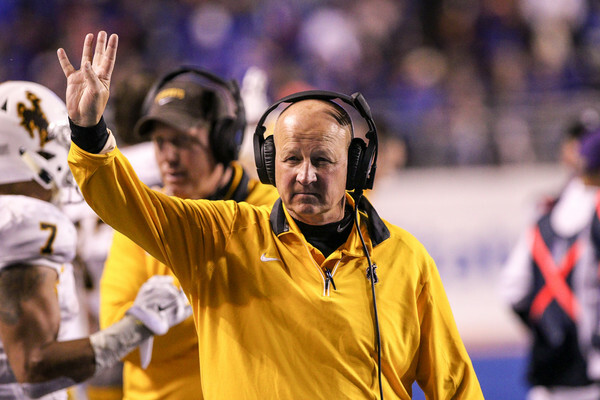 Craig Bohl‘s first season in the FBS in 2014 was not kind as Wyoming finished 4-8 with the offense averaging only 21.1 points per game and the defense surrendering 32.8 points per game. 2015 may a bit better for Wyoming despite only 9 starters returning. The Cowboys will have 5 starters back on offense and one of them is not at quarterback. However, that may not be a problem as they have Cameron Coffman who transferred from Indiana. Coffman threw for 2,734 yards, 15 touchdowns, and 11 interceptions in 2012. The top two running backs also return in Brian Hill (796 yards and 7 touchdowns) and Shaun Wick (753 yards and 6 touchdowns). Wyoming does lose their top two receivers, but those two only combined for 86 catches, 1,172 yards, and 3 touchdowns. Despite the losses, the offense should perform better with a year of Bohl’s system under their belts. The defense returns only 4 starters, but one of those is 1st Team-All Mountain West defensive end Eddie Yarbrough. He finished 2014 as the second leading tackler with 63 and also recorded 4 sacks and 6.5 tackles for loss. 2 other projected starters on the defensive line have experience starting as well. The linebacking unit has only 1 returning starter, but Lucas Wacha started 11 games in 2013 and returns to start at the weak side. The secondary only returns one starter from 2014, but strong safety Chad Reese was a constant starter between 2011 and 2013 before missing all of 2014. The defense does not have a lot of starters returning, but they are in the second year of Bohl’s system and have several starters from years prior to 2014. Wyoming has a relatively easy non-conference schedule with back-to-back home games against North Dakota and Eastern Michigan. They then travel to Washington State before starting conference play at home against New Mexico. Their non-conference schedule wraps up on October 3 with a road game at Appalachian State, which could see them sitting at 4-1 in early October. They have a rough conference schedule with road games against Air Force, Boise State, Utah State, and San Diego State. They also have Nevada and UNLV from the West division. The Cowboys will probably need an upset or 2 to reach bowl eligibility, but that is not out of the question for Craig Bohl. Colorado State has been on the up and up since Jim McElwain took over in 2012. They went from 4-8 in 2012 to 8-6 in 2013 to 10-3 in 2014. 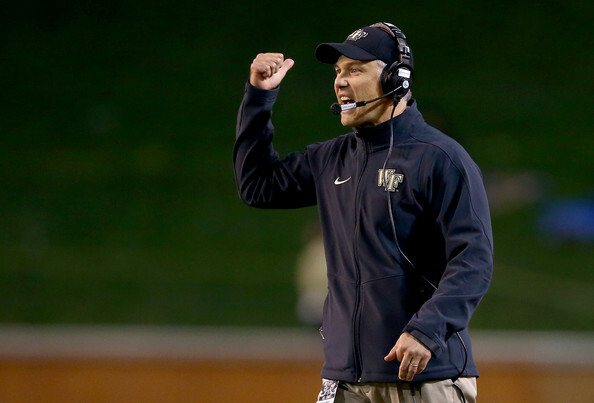 However, McElwain departed to take over at Florida and Mike Bobo was brought in from Georgia. 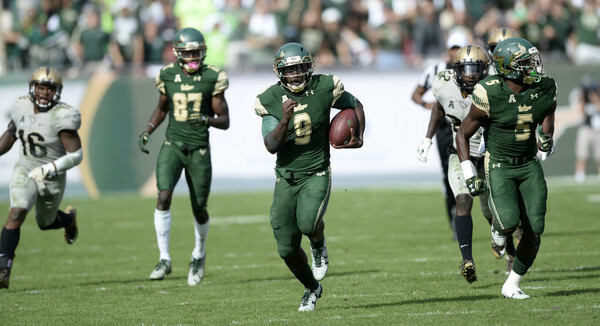 Bobo will have 7 starters back on offense including one of the best receivers in college football from 2014. Rashard Higgins caught 96 passes for 1,750 yards and 17 touchdowns while making the 2014 1st Team All-American squad. 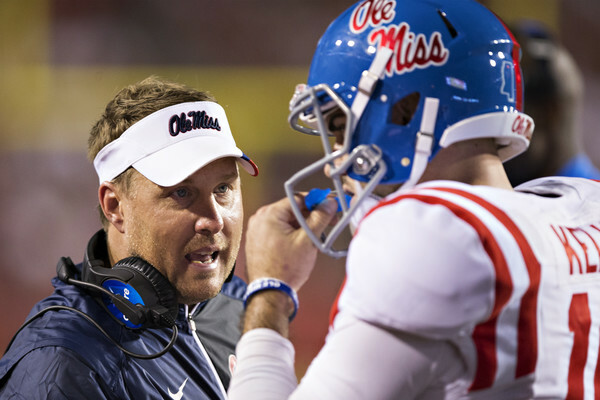 He will not have his top quarterback, however, and that will probably hurt the output. Seth Grayson threw for 4,006 yards, 32 touchdowns, and 7 interceptions. Also missing is the leading rusher from last year, Dee Hart, who ran for 1,275 yards and 16 touchdowns. After putting up 33.9 points per game in 2014, the offense will probably see a drop off despite the return of Higgins. Defensively, the Rams have 8 starters returning, but two of the losses are the top two tacklers in 2014. The defensive line will be moving to a 4-3 from a 3-4, but they do return 3 starters, which should see them improve on the 201 rushing yards per game they surrendered in 2014. Linebacker is where the losses hurt the most with the two leading tacklers gone and there will most likely be drop off there. The secondary returns all four starters including the #3, #4, and #5 leading tacklers in 2014. This will be the strength of the defense and they only gave up 224 passing yards per game in 2014. The Rams open the season with back-to-back home games against Savannah State and Minnesota before facing arch-rival Colorado in Denver. The wrap up non-conference with their first road trip outside of Colorado to face Texas-San Antonio. In conference, the Rams will have home games against Boise State and Air Force while drawing San Diego State, UNLV, and Fresno State from the West. It might be a little harsh to put Colorado State 5th in the Mountain Division after their excellent season a year ago. They lose their quarterback, top rusher, top two tacklers, and have a new coach with new systems to install. Still, the Rams have an excellent shot at topping 6 wins and making another bowl game. 2015 will be Bob Davie‘s fourth season in charge at New Mexico. He has yet to do better than 4 wins, but will 2015 be different? To start, he will have 7 starters returning on offense including his top 3 rushers from his run based offense. Quarterback Lamar Jordan threw for only 895 yards with 6 touchdowns and 5 interceptions, but was able to run for 612 yards and 3 touchdowns. Also in the backfield is Jhurell Pressley (1,083 yards and 12 touchdowns) and Teriyon Gipson (809 yards and 8 touchdowns). They also have 3 starters returning on the offensive line to pave the way. With the amount of talent and experience returning in 2015, the Lobos should be able to average at least the 310 yards rushing per game they did in 2014. On defense, Davie will also have 7 starters returning and that is the most since he started at New Mexico in 2012. Two of the three defensive linemen return including Nik D’Avanzo who recorded 52 tackles, 4.5 sacks, and 2.5 tackles for loss. Three of the four linebackers return with that unit led by the tackling machine of Dakota Cox. He finished 2014 with 116 tackles to lead the team en route to finishing on the 1st Team All-Mountain West squad despite only playing the first 9 games. The secondary returns two starters as well and should continue to improve. The defense will probably improve on their 35.9 points and 519 yards per game given up in 2014, but will need to do much better. New Mexico kicks off the season with homes games against Mississippi Valley State and Tulsa before a road trip to Arizona State. They open their conference schedule at Wyoming before facing New Mexico State at home to finish the non-conference portion of their schedule. From the West Division, the Lobos will face Nevada and San José State on the road while getting Hawaii at home. The Lobos could possibly go 2-1 in those three games and combined with an expected 2-2 non-conference record, be just two wins away from bowl eligibility. The Lobos will come close to 6 wins, but may fall just a bit short in 2015. 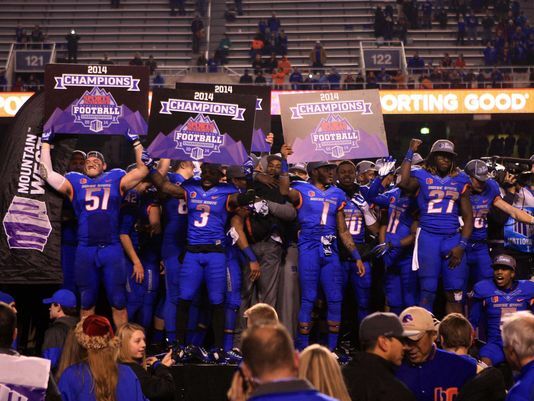 The Mountain West Conference’s Mountain Division is Boise State’s to lose. They have a solid offense and a strong defense that appears to be much better on paper than any of their conference opponents. With a few upsets, Utah State or Air Force could win the division, but that is unlikely with those two teams battling it out for second along with Wyoming and Colorado State. New Mexico will be close to getting back to a bowl game but probably needs another year. Below is the predicted order of finish. The Mountain West Conference West Division will be out on Friday, July 10 along with the Mountain West Title Game prediction. On Tuesday the Mountain West Conference released its conference schedule for the 2015 season. There will be 48 conference games in all between the 12 teams in the league. The first conference game will take place on Saturday, September 12 with San Jose State at Air Force. The season will conclude on Saturday, December 5 with the 2015 Mountain West Conference Championship. The Championship game will be played at the home of the highest-ranked division winners. The Mountain West will televise games on Thursday, Friday, and Saturday throughout the season. Some of the games listed below will be moved to another day when ESPN and CBS Sports Network determine their respective television schedules. A PDF of all the games can be found here, while the Mountain West has provided a wonderful composite schedule infographic here.